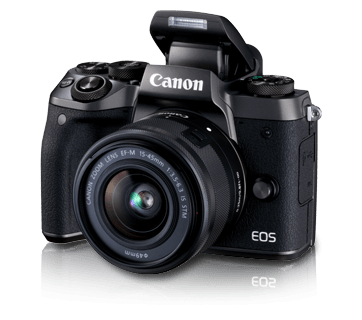 At the top of line-up in the mirrorless camera category, EOS M5 delivers stunning image capture with its large APS-C sized, 24.2MP sensor, a high definition 2.36 million-dot EVF and a comfortable, sturdy grip, housed within a compact and lightweight body. The AF system employs Dual Pixel CMOS AF, capable of quick, precise autofocus. 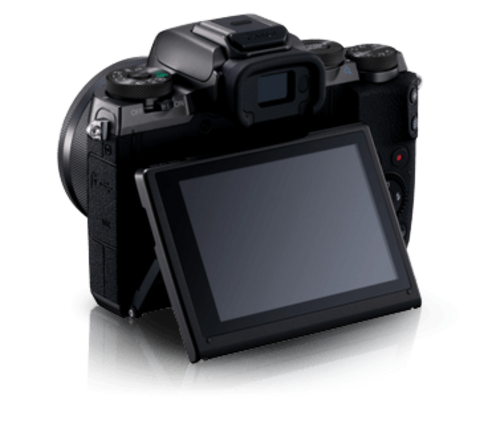 The Touch & Drag AF feature allows touch screen AF operation for even more precise AF even during viewfinder shooting. 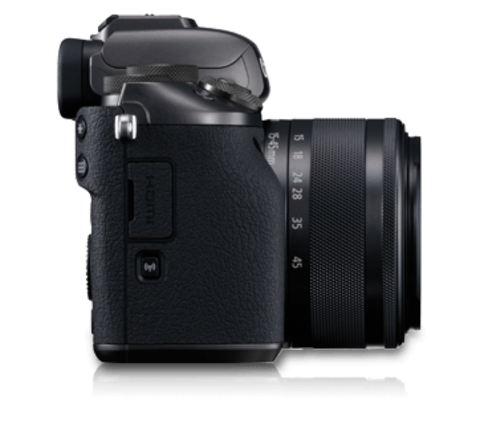 In-camera RAW image processing is supported, as is the use of Bluetooth low energy technology which allows long duration pairing with other devices - great for simple and instant remote shooting. 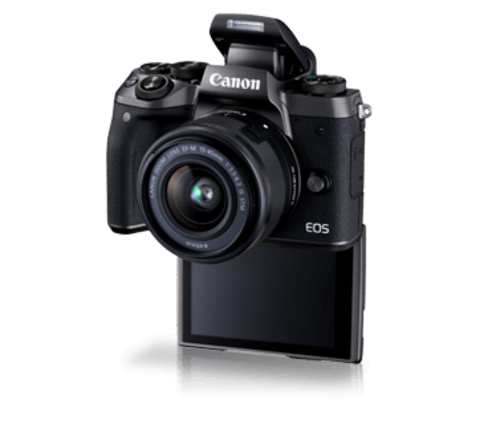 * The Bluetooth® word mark and logos are registered trademarks owned by Bluetooth SIG, Inc. and any use of such marks by Canon Inc. is under license. Other trademarks and trade names are those of their respective owners. 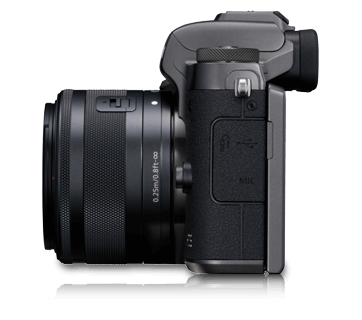 The body boasts of a slimness typical of mirrorless cameras, and secretes a large, 24.2 megapixel APS-C-size imaging sensor. 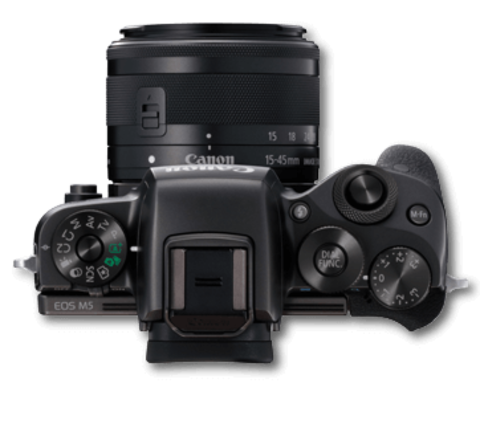 It can be used with a vast variety of EF lenses to achieve high-quality stills and movies. 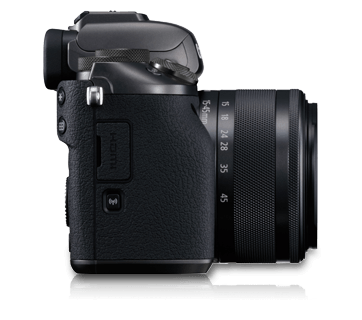 The DIGIC 7 image processor not only improves the visual resolution and contrast of images shot in backlight, it also enables noise reduction such that it is possible to set a normal ISO speed of up to ISO 25600, so that you can achieve beautiful shots in evening, night and other low light scenes. This, together with in-camera RAW image processing and correction for diffraction and chromatic aberration, ensures that images are of high quality. 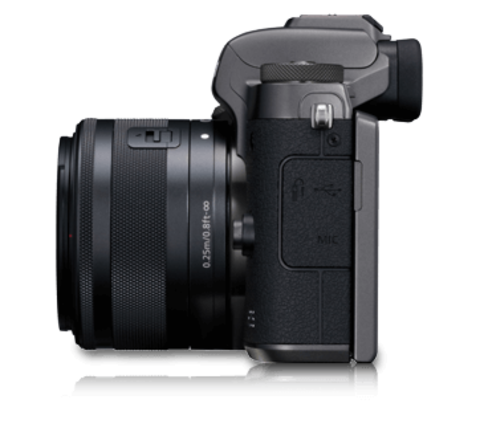 The OLED electronic viewfinder (EVF), high resolution with approx. 2.36 million dots, is positioned to enable convenient image composition. It’s also more convenient than ever to carry out autofocusing during viewfinder shooting thanks to the Touch & Drag AF feature, which allows you to use the touch screen panel to select and move the AF frame while looking through the EVF. 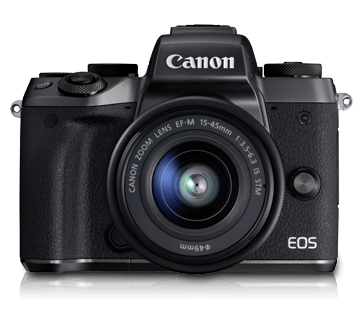 EOS M5 supports both Wi-Fi / NFC* and Bluetooth low energy technology. Wi-Fi / NFC enables easier connection to other smart devices^ for file transfer and remote camera operation, whereas Bluetooth low energy technology, making its debut on a Canon camera, allows constant connection with smart devices – great for prolonged navigation of in-camera files on external screens / TVs, as well as for remote shooting operations. *Only for NFC-enabled smart devices running on Android OS. 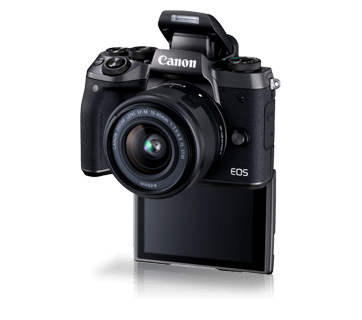 ^Camera Connect has to be installed and set-up on the smart device. Electronic Viewfinder On Approx. 90min. Dimensions (W x H x D) Approx. 115.6 x 89.2 x 60.6mm / 4.6 x 3.5 x 2.4in. • All the data above is based on Canon&apos;s testing standards and CIPA (Camera & Imaging Products Association) testing standards and guidelines. • If a problem occurs with a non-Canon lens attached to the camera, consult the respective lens maker.